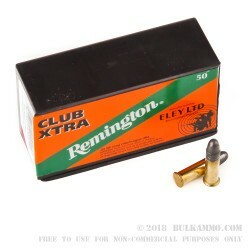 Shooters in the US are familiar with the quality you can expect from Remington ammunition, but some may not be familiar with the other name on this box. 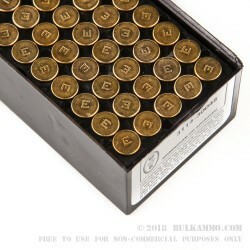 Eley is a British ammo manufacturer based in Birmingham, England that specializes in match quality rimfire ammunition. 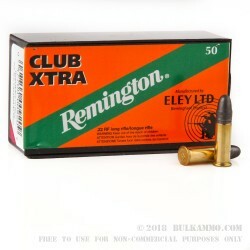 The .22 LR ammo in this box was manufactured by Eley, but is being sold by Remington. You can tell this by looking for Eley's signature "E" on the headstamp. The Club Xtra brand is designed for use in all disciplines up to 50 meters and is a great choice for competitors. 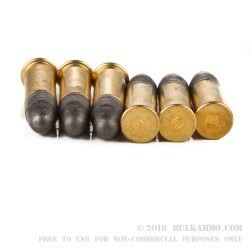 Each round features a 40 grain graphite-coated antimony lead alloy bullet that results in consistent accuracy. Shooters all over the world win competitions with Eley ammo, so grab a box today and give it a try!